The green and indie beauty movement is truly global. 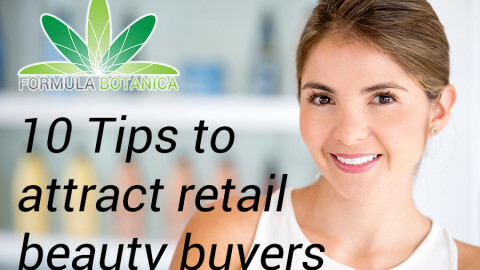 Formula Botanica knows this from firsthand experience, as we now have students and graduates in 91 countries who all want to learn how to formulate beautiful high performance organic cosmetics. It is so exciting to see this movement take hold all over the world and we are especially excited to speak to a very special guest on our blog today – a lady who has been a key player in giving rise to a platform to recognise, showcase and celebrate independent beauty, wellness and lifestyle brands. That’s right, we’re talking about Jillian Wright, founder the Indie Beauty Expo! Indie brands are among the fastest growing product categories. They have become a ‘must have’ in almost every retailer’s collection and are now directly influencing key trends in their markets. 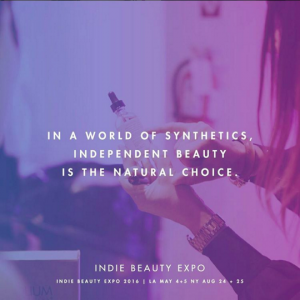 The Indie Beauty Expo was founded to support the growth and success of indie brands and the entrepreneurs behind them. 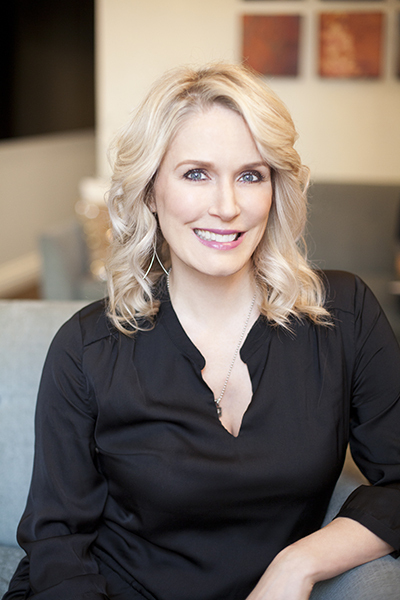 Jillian Wright is a Celebrity Aesthetician, former Owner of Jillian Wright Clinical Skin Spa in Manhattan and founder of Jillian Wright Skincare – she has been in the beauty industry for over 17 years. She has performed facials on Tea Leoni, Kristen Wiig, Alicia Silverstone, Ivana Trump, Kim Kardashian, Virginia Madsen, Jill Hennessy and Elijah Wood. We are very excited to interview Jillian on our blog today. Hi Jillian, can you please tell us more about the Indie Beauty Expo? When did it start? What is its mission? The Indie Beauty Expo (iBE) started less than a year ago. It was born out of my frustration that there wasn’t a serious platform for small luxury indie beauty brands to showcase their products with like minded-brands to buyers, consumers, press and media. How did you come up with the idea for starting the iBE? I have been an aesthetician in NYC for 17 years. I have owned and operated a spa that focuses on result-oriented skincare. After about 10 years of working on clients (around 11,000 facials later), I decided to create my own skincare line. I just closed my spa a month ago to dedicate my time to my skincare line and the Indie Beauty Expo so that I can now help the indie beauty community. Given my background in clinical aesthetics, I decided to work with a lab that uses plant-based ingredients and green chemistry. This means that the botanical stem cells ingredients I use are the bio-identical to what you would find in nature. The benefit is not only for the skin but also for our environment. We use less soil, water, energy and absolutely no pesticides or chemicals. We combine these ingredients with organic and natural ingredients. I chose to work with a lab because I trust their ability to do microbial testing and ensure the quality of my products. 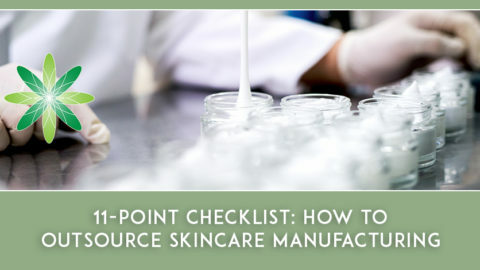 Even though I have a great reputation and now a skincare line, I found it incredibly difficult to get in front of the right buyers to would appreciate my line and the effort it took to get it to market. I was very confused at all the trade shows that we were available to me. None of them delivered what I needed. I don’t have the time or the money to gamble on not knowing if the show was going to work. Since I have 2 kids of my own and two step kids, I don’t have the time to do pop up shops either. Needless to say, I’m very busy! 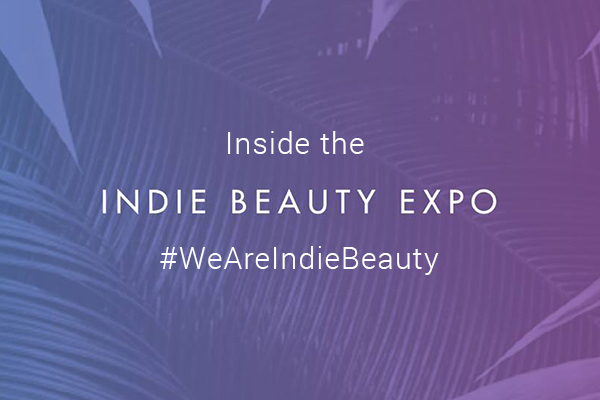 Who is the Indie Beauty Expo for? Indie Beauty Expo is for independently owned brands, who are ready for distribution. The brands should be ready to do serious business with retailers, hotels, spas, salons, boutiques, and anyone who wants to separate their retail area from their competition. It is the smaller, lesser known brands that give retailers the edge on their competition. We fill the white space. We are the brands that get people excited. We recharge their spirit. 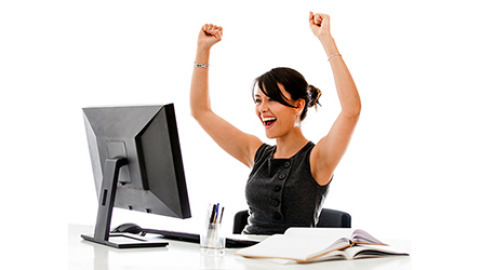 We give them a positive reaction which will ultimately lead to a better, healthier way of living. iBE also has a consumer component to the expo. Direct consumer relations is very important to any brand. It is your time to connect with people and educate them about your story and why your brand is so special. It’s their time to try and buy your products. 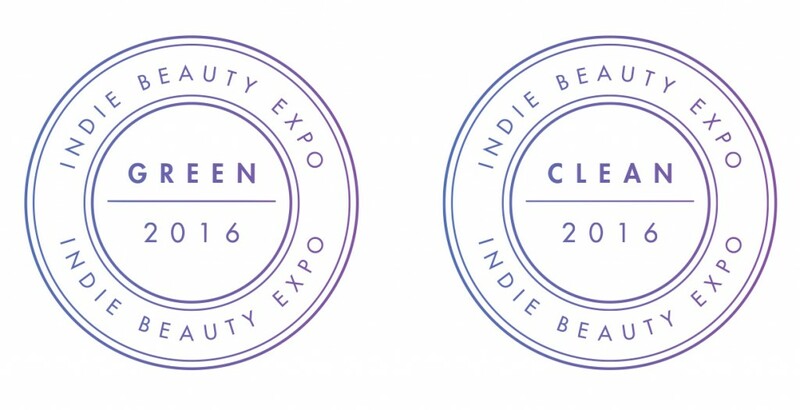 Please tell us about the last Indie Beauty Expo – how many people attended? How many brands exhibited? What were your highlights? We had over 1000+ people in attendance with 80 brands exhibiting. Here is a recap video that highlights the show. We also created iBE TV and the iBE awards. Here is Nader our co-founder talking about iBE and how we got started. 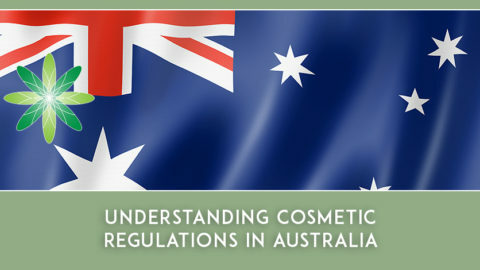 We regularly see a clash between the mainstream cosmetics industry and the green beauty sector – how has the iBE been received by the mainstream industry? There is a definite interest in clean, indie beauty. This is where all the innovation starts and the bigger, main stream companies are definitely paying attention. There are more acquisitions of indie brands now than ever before. The last iBE hosted various panel discussions – what sort of topics were discussed at the show and who was involved? Jeannie’s panelists were Katharine the founder of Kahina Giving Beauty, Yael Alkaley, the founder of Red Flower, Katie Hess, the founder of Lotus Wei and Rachel Roberts founder/consultant of Oyl and Water. Melisse Gelula from WellandGood.com lead a panel of visionaries and they spoke about trends for 2016. Her panelists were Shirley from W3LL People, Tracie Martyn, Tata Harper, Fabien from Rahua, Adina Grigore from S.W. Basics and Gina from RGB Nailcare. We also had Kiran Stordalen from Intelligent Nutrients, Marci Zaroff from Under the Canopy, Brenda Brock from Farmaesthetics and Kristen Arnett, celebrity make up artist. They all spoke respectfully about their own experiences as a professional in the industry. At the moment iBE is US-based, are there any plans to expand internationally in the future? YES!!!!! We are looking into iBE Europe in the future and would also like to move into Asia. Where and when will the next iBE be and how can brands get involved? iBE 2016 is going to be an extraordinary year. On May 4th and 5th, we are doing LA at the Shrine Expo Hall and August 24th and 25th, we are doing NYC at the Waterfront. We are so excited for our expansion into the LA market. Both will be double in size and time. Two days instead of just one. Ultimately, your line should be professional, beautiful, clean and have a story. It should be innovative, interesting and exciting. There should be a “giving back” component to your business as well. The iBE now also issues special clean and green seals for brands that go the extra mile. iBE recognises beauty brands that meet our Clean Beauty Standard that don’t use 45 of the most common ingredients in beauty that have been linked to health concerns. iBE recognises beauty brands that over and above meeting our Clean Beauty Standard, are committed to using all natural and organic ingredients as well as sustainable packaging and manufacturing practices. If you think you qualify, please Email me at [email protected]. Make sure to include a little bit about yourself, your brand, website and what is special about your brand. If you qualify, I will send you our exhibitor PDF to look over. We are always happy to answer any questions you may have. We are also here to help you maximise your investment in exhibiting at iBE to make it worth while for you so you come prepared. Remember, your audience is press/media/ consumers and buyers. Just to give you an idea of who exhibited with us last year: Trilogy from New Zealand, Super Natural Beauty from Essex England, Flynn and King from Brooklyn, Tracie Martyn, Good Home Company, Kahina Giving Beauty, Osmia Organics, White and Elm, London Brush Company, Kesh Beauty, Potty Mints, Pour La Monde, Sprayology, Tata Harper, Phace Bioactive, Eu2Be, Luz de la Riva, Skin Owl, Svelta Tan, Beauty RX, Fit Glow Beauty, Zyderma, Malaya, Isa’s Restorative’s, Soapwalla, Phia Lab, and Juara to name a few. This year we’re hosting a lot more brands: Violets are Blue, Emmaus Beauty, HAN Skin Care Cosmetics, Osmosis Skincare, Pristine Beauty, Odacite, Kopari Beauty, True Moringa, Hynt Beauty, Marie Veronique Skincare, Root Pretty, Viva Organic Skincare, Max and Me, Province Apothecary, DefineMe Fragrance, ZSS Skincare, Lalun Naturals, Native Atlas, Cosmedicine, Phace Bioactive, White & Elm, TruFora, My Daughter Fragrances, Evelyn Iona Cosmetics, Thorn + Bloom Perfume, Nuturativ, Mancave, Adesse Global Cosmetics, Pommade Devine, Girl Undiscovered, Prim Botanicals, Calypso Glow, Bottega Organica, nügg Beauty, Note Cosmetics, Lyeska, Circ-Cell, VMV Hypoallergenics, Lift Lab, Linne, Joanna Vargas, Simple Sugars, Pacifica, Wedderspoon, Maya Water/Pure Organica, Raw Spirit Fragrances, Pure Anada Cosmetics, Hale & Hush, Malaya, Skin Owl Gavee Gold, Pour Le Monde, Java Skincare, O I L L E, Helan Beauty, Anokha Skincare, LVX Nail Lacquer, Creme Collective, Nelson j Beverly Hills, Box Naturals, GliSODin Skin Nutrients, Pretty Places, Meder USA, UnWash, Spongelle Beyond Cleansing, Vita Liberata, Luxe Botanics, Captain Blankenship, SIGIL SCENT, INUF Responsible Skincare, Our Happy Box, The Honey Pot, LOLI BEAUTY, YUNI BEAUTY, Erin’s Faces, SCENTERED, Mother Dirt, Revival Body Care, Mahalo Skin Care, Beauty Heroes, Airelle Skincare, Kaelen Harwell Organic Skincare Products, Antonia Burrell Holistic Skincare, Au Naturale Cosmetics, Kosmatology Organic Skincare, Havyn Organic Skincare & Mobile Spa, Saint Cosmetics, Hydro Hair, Potty Mints, Kesh, LIVAD SKIN CARE, LLC, Ursa Major, Bulles et Molecules, Georgie Beauty, J.R. Liggett’s, MPWR Skincare, Footmate By Gordon Brush, Blended Skin, Elke, Nicole Granato, CV Skinlabs, ICD Green, Shamunuti. And there’s still space for more exhibitors! Want to join us? All images are courtesy of the Indie Beauty Expo.